Lenovo is a Chinese manufacturer that bought the IBM ThinkPad two years ago, but has also expanded its consumer offerings in this country with a range of cost-effective machines under the Lenovo name. 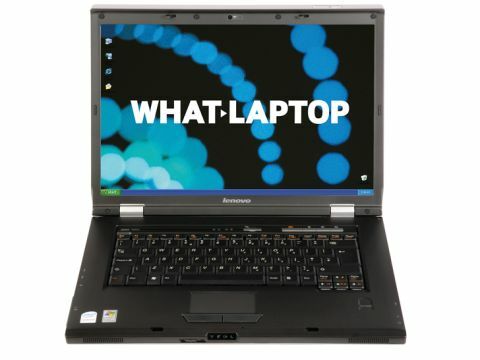 The Lenovo 3000 N200 (£499 inc. VAT) is an impressive laptop that comes with a solid chassis design. The casing is thick plastic that gives the body a reassuring feel. With plenty of protection behind the screen, and hinges that sit in a small runnel, the design is robust and you won't find the screen rocking, even when travelling with your laptop. On the downside, this isn't exactly a truly portable machine, as the 2.8kg weight and rather bulky design make it a little cumbersome for the daily commute. That said, we managed to record a battery life from this system of 277 minutes, which is more than enough to keep you productive away from mains power. The 15.4-inch Super-TFT screen dominates the simple look of the machine, but while it proved clear with an even tone, it's not the brightest among its peers, as it had a narrow brightness range. Graphics are integrated, which means you won't be able to edit video or play the very latest games, but it's more than adequate for editing photos or running DVDs and presentations. If there is one reason to buy this laptop, it's because of the keyboard. The keys are of a good size and are individually mounted, something not always seen at this price, with a reliable and smooth action. Simply put: at this price point you won't find a better built keyboard. You'll find the operating system is Windows XP Professional, but it loaded quickly and is worth considering if you're opting for a budget machine as it is less resource heavy. Alongside the Windows XP OS, you'll find a biometric fingerprint scanner built into the case. There is also a hotkey that links to Lenovo Care, a set of tools that makes managing such things as backups, maintenance and even connecting to a wireless network easier to set up. This is a great set of utilities and makes setting the 3000 up easy. With only the S-video and modem ports located on the rear of the chassis, ports are fitted down the side of the case, making it easy to add peripherals. You'll find three USB ports on the right-hand side and a fourth on the left. You can add an external mouse regardless of whether you're left or right-handed. Overall, we were impressed with the Lenovo 3000 N200. The build quality is solid and reliable and the keyboard is a genuine pleasure to use. While a bit heavy for the daily commute, the battery allows for a degree of portability.